Must have license/certification/registration to practice independently as a mental health professional. Complete 12 hours of CEU’s in EMDR Therapy post the EMDR Training. 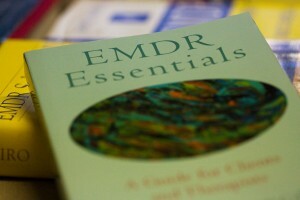 You do not need to be a “EMDRIA Certified EMDR Therapist” to practice EMDR Therapy. However, therapists who continue on to become a “EMDRIA Certified EMDR Therapist” deepen their skill level as an EMDR Therapist, and enjoy using EMDR Therapy in more expansive and creative ways. For those of you wanting become an “EMDRIA Certified EMDR Therapist”, please contact Barb Maiberger directly. Barb Maiberger is an EMDRIA Approved Consultant that offers individual consultations through the Maiberger Institute.